This sophisticated yet sweet faux cashmere coat with matching hat has dimensional earth tone flower shapes stitched onto the heather gray background. 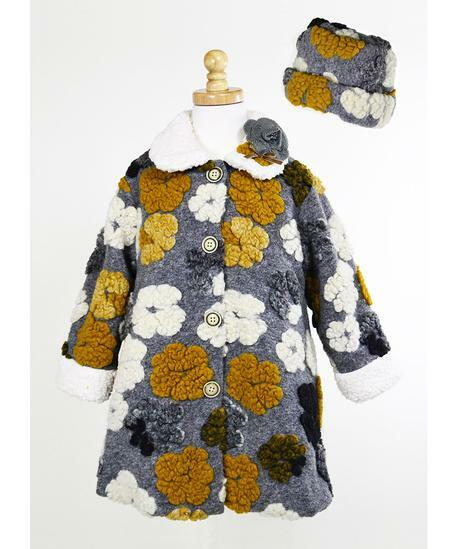 Button Front coat with matching hat. 100% Polyester. Machine Washable. Hat Included.